Ever since the weather got nice in May, we’ve been grilling regularly. 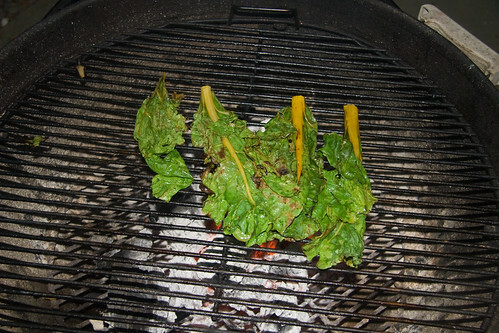 A few weeks back, we cooked up some skirt steak and a salad of onion and chard. It was such a success that I sought out the ingredients again, with an eye towards featuring it on Fifty Two Foods. We picked up some golden chard at the Davis Co-Op and I got this week’s food, a large sweet onion from Towani Organic Farm, a Farmers’ Market vendor from Butte County. 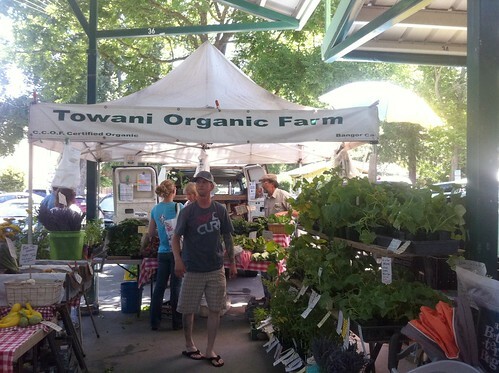 Towani has one of the broadest selections of produce at the Davis Farmers’ Market, and last Saturday their tables were brimming with assorted onions, herbs, greens and fruit. 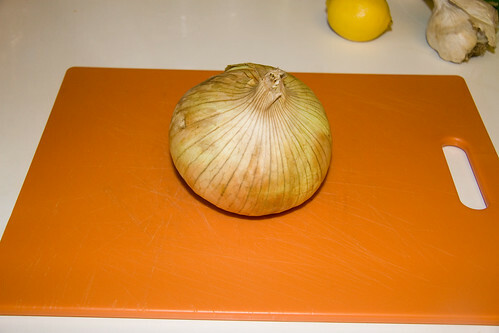 I grabbed one of the largest sweet onions they had. 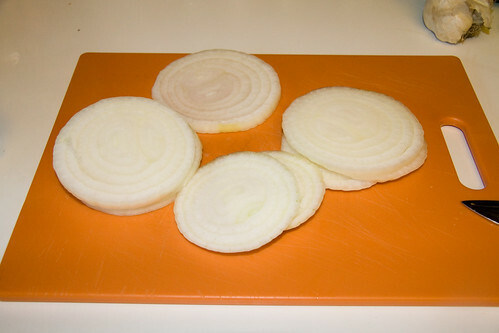 For my salad, I peeled the onion, and sliced it into fairly thick rounds. 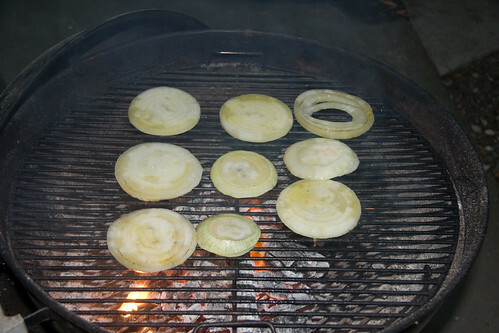 I put the onion slices into a bowl, and covered them in olive oil, then placed them onto a hot grill, directly over the coals. 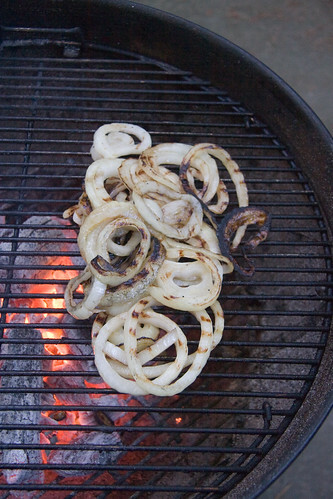 I cooked the onions for about 10 minutes, until they were soft and translucent with a lot of charring on the bottoms. 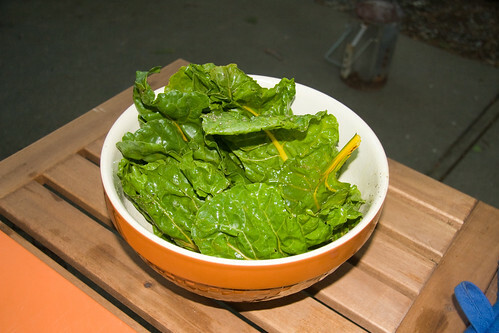 In the meantime, we washed and trimmed the chard, then covered it in fresh lemon juice, olive oil, salt and pepper. 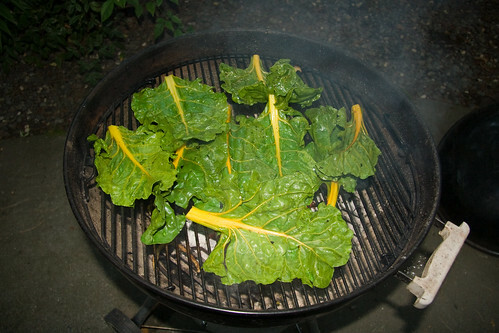 After the onions came off the grill, I threw the chard on for a few minutes. I flipped each leaf once, and pulled them off when they had wilted and looked a little papery—about 3 or 4 minutes. I chopped both the onions and chard roughly, and tossed them together with some French sheep feta, then drizzled some more of the olive oil and lemon juice over them. 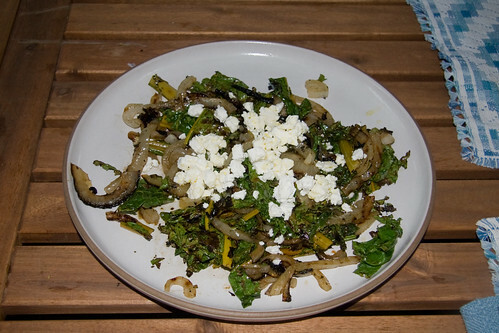 The charred sweetness of the onions melds wonderfully with the tang of the lemon juice and feta. 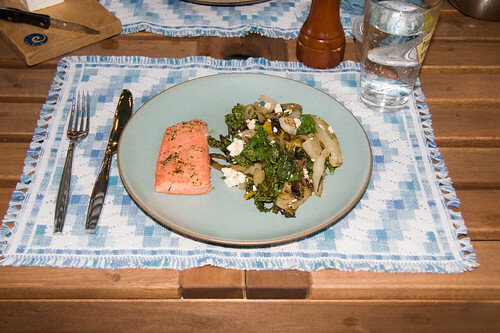 The salad was a wonderful complement to the grilled salmon we had alongside it.